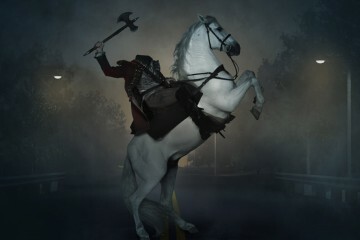 As part of the show’s For Your Consideration campaign, Fox’s Sleepy Hollow held it’s screening on Los Angeles’ Hollywood Forever Cemetery along with headless horsemen on display for different media outlets. Fans were all ears for the Q&A at the cemetery’s Masonic Lodge. Stars of the supernatural TV series Tom Mison as Ichabod Crane and Nicole Beharie as Abbie Mills were joined by the show’s executive producers as they gladly drop hints about the anticipated sophomore season. “There’s a big surprise in the premiere that Abbie comes to in Purgatory, and that’s going to play out throughout the entire season. We’re really going to get to understand her past a lot more. We’ll see more of the family dynamic as they try to understand her role as a Witness; what exactly happened to Abbie and her sister, Jenny; how you become a Witness; and what that really means. She takes it very seriously”, Executive producer Mark Goffman said. 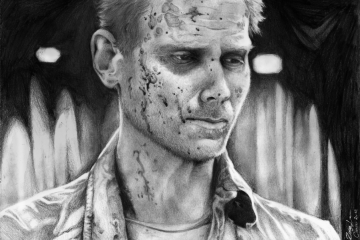 Speaking of new characters, Matt Barr enters as Nick Hawley a bounty hunter in the troubled town. “He’s doing a five to seven episode arc. We had to open up the town since we’re doing more episodes, and he’s going to be an antiquities dealer who Jenny (Lyndie Greenwood) used to go to for help finding things,” Heather Kadin teased.